Dragon Ball Z is returning and I really care! Dragon Ball Z will be returning from its 18 year hibernation and my power level could not be any higher. Yesterday, it was announced that “Dragon Ball Super” is scheduled to release in Japan as early as this July. Even the original creator, Akira Toriyama, will be overseeing the new series. Are you still following because there’s more? The “Dragon Ball GT” series which fans loved (jk everyone hated it) has been reported as non-canon. Also, the new movies “Dragon Ball Z: Battle of Gods” and the upcoming “Dragon Ball Z: Resurrection F” will tie into the new show. 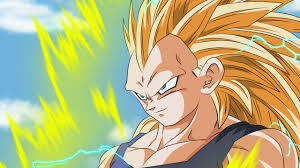 Will Vegeta finally go Super Saiyan 3? That’s the only question that needs to be answered. It’s going to be [spirit] bomb! I know it. I’m exited! Are you excited? I’ve never been this excited! MY EXCITEMENT IS OVER 9000!! !